Pomegranate Punk is my absolute favourite shade of the Colour Tattoo range, and I have them all. …Benefit Creaseless Cream Shadow in Stiletto! I was looking for Benefits Stay Don’t Stray primer when I spotted their range of creaseless cream shadow/ liners. 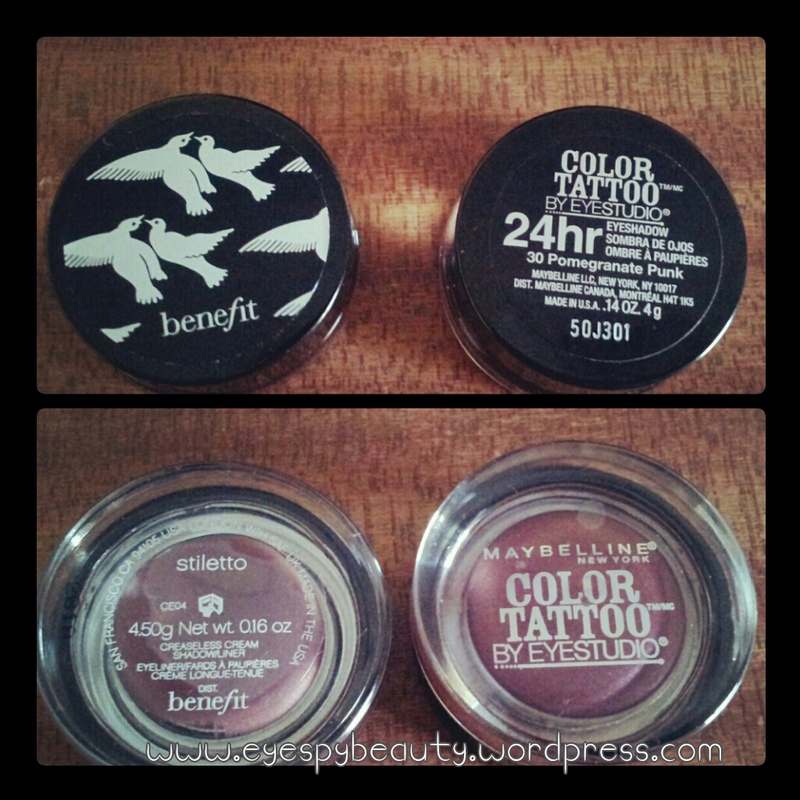 These aren’t new products but it’s been a while since I spent time at the Benefit counter. Two of the shades are red-based: Stiletto and Get Figgy. Get Figgy is more pink on the skin and so not a strong match. Stiletto is as perfect a match as you’ll ever get. Don’t believe me? See for yourself. The big downside is that the Benefit Creaseless Cream Shadow/ Liner costs £14 compared to Maybelline’s RRP of £4.99. My advice? If you can get Pomegranate Punk from the US, then do. As well as the lower price, it lasts much longer on the skin. 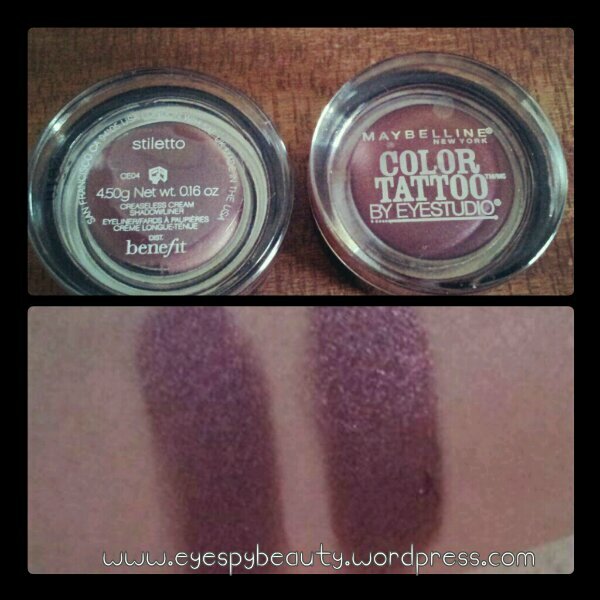 If you can’t get Maybelline Pomegranate Punk, then splash out and get the Benefit one. You’ll wear it so often that ‘cost per wear’ will be next to nothing. 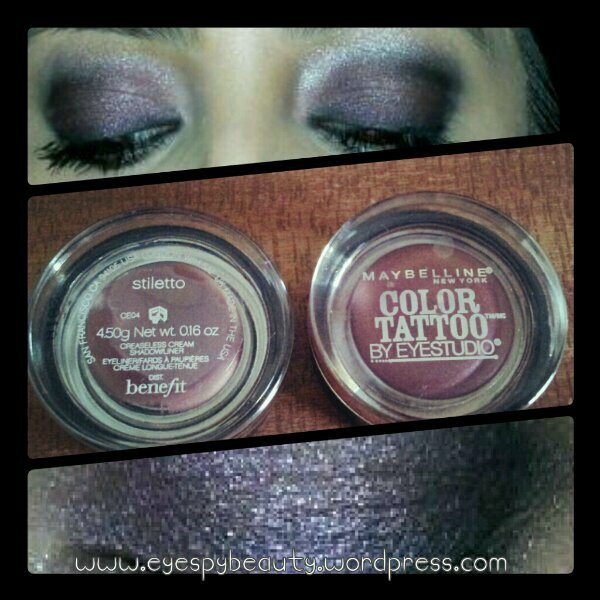 There’s no need to be nervous about wearing red eyeshadow, as it looks more violet/ plum on the eye, as seen below. Try it, buy it, love it. If you don’t, then see me after class. 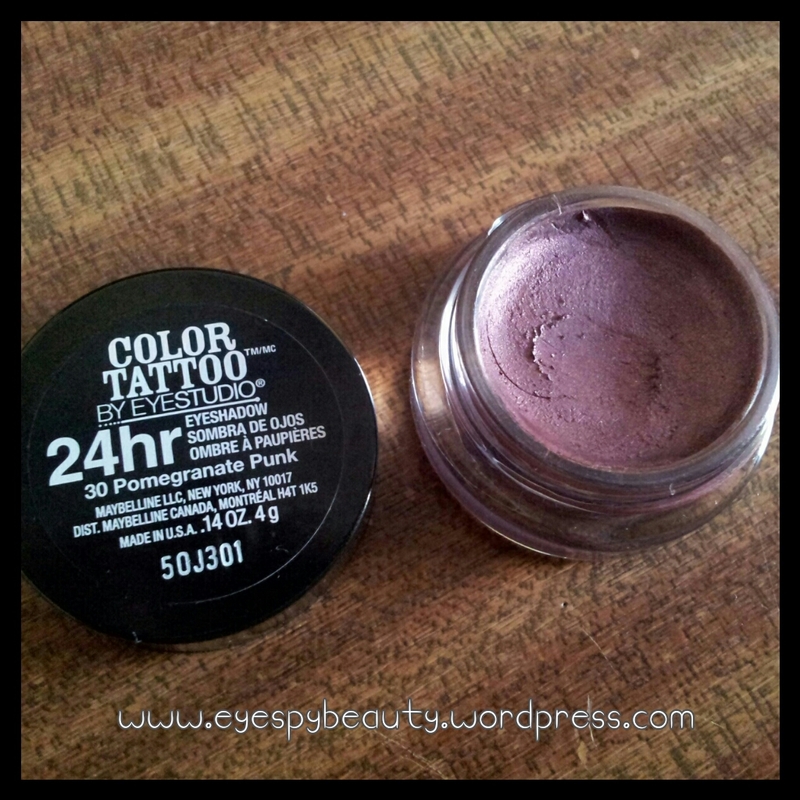 Leave a reply on "Maybelline Colour Tattoo Pomegranate Punk ‘dupe’"